Novgorod. 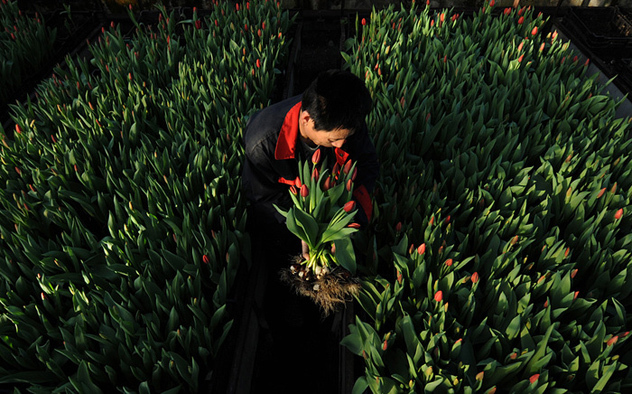 Chinese workers cut tulips to sell on March 8 , when all of russia celebrate's International Women's Day. Fhoto by chalabow.livejournal.com.